What is the Smallest Casino in the World? - Casino Answers! Casino Answers » Casino Trivia » What is the Smallest Casino in the World? Well, this is a hard question to answer, but we are happy to say we’re not going to count your back room where you’ve set up a blackjack table to hustle your friends out of their money as the world’s smallest casino. The reason as to why it’s hard to answer is simply – what defines a casino? There are rooms that offer a single poker table, is that a casino? Gas stations with one slot machine, is that a casino? It’s hard to say what makes a casino, but we’ll give it our best shot. We’re going out on a limb with this one and we’re going to say the world’s smallest casino is in North County, San Diego. It is a “slot arcade” run by the La Jolla Indian band and is located inside a mini-market near Palomar Mountain. It is in a small section of a small market that you could easily miss. The “slot arcade” measures in at 15ftx40ft, which makes it 1/30th the size of Las Vegas’ smallest casino, Slots-A-Fun Casino and almost 1/1,000th of the size of The Venetian Macao, the biggest casino in the world. That’s pretty darn small if you ask me. As is evident by the name, the only thing you can play here are slot machines, which makes sense, considering the space is about the same size that a blackjack table or a roulette wheel would take up! The “slot arcade” features 30 slot machines and that’s it. Of course, it doesn’t matter how big or small the space that they are in as long as they payout. Considering the ongoing existence of this “casino”, I’d think that more than a couple of winners have walked out of their doors. How about if you want to create your very own slot arcade? Well, the La Jolla Indian band spent around $500,000 to create their “slot arcade”. Let’s be honest, if you had that amount of money to spare, you wouldn’t be considering opening your own “slot arcade”. It’s got to be absolutely rolling in it purely due to the novelty and the fact that it is quite the tourist attraction. Now, you won’t be able to create the same experience as you’d get in North County, but that’s only because you’ll have more than 30 slot machines you can choose from, which isn’t really a bad thing, is it? And if you can find a smaller casino than this “slot arcade” in North County, San Diego, let us know! Where can I find the smallest casino in the world? Where is the smallest casino in the world? Is the smallest casino in the world in Las Vegas? What games can I play at the smallest casino in the world? 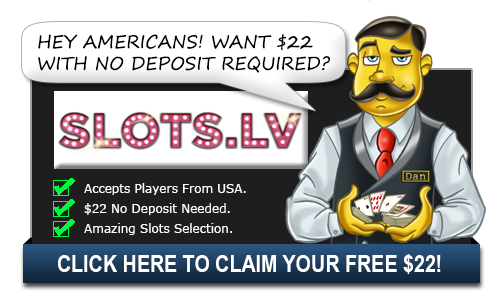 Is Slots-A-Fun the smallest casino in the world? What size is the smallest casino in the world?